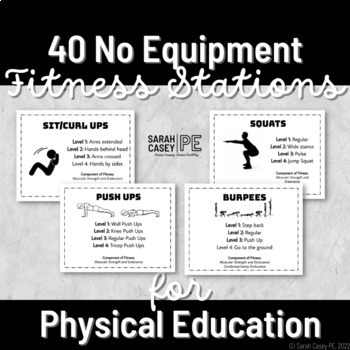 Differentiated fitness stations for elementary, middle, or high school. 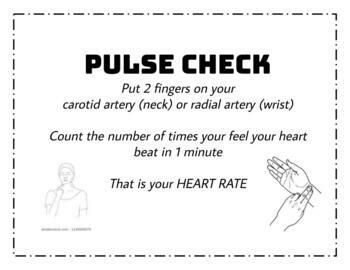 Each exercise has a visual, 4 differentiated difficulty levels, and the health related components of fitness. Simple black and white format for easy printing. 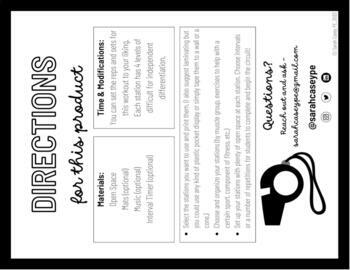 Best printed on card stock and laminated. 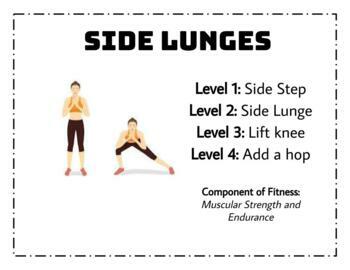 Print on different colored card stock to teach concepts such as push/pull, upper/lower, or different types of fitness. All images are from Google images and are not my own. I will not receive any compensation for this product.